This plugin creates noise with control over patterns, interpolations, appearance, animation, transformation, opacity, and advanced turbulence options. Drag the effect onto your clip. The first control, Pattern, allows you to set the basic pattern of the noises which will change the look of the generated noise. You may choose from the options in the drop-down menu: Billowed, Ridged, Aero, Max, Plasma, Scramble, Default Positive, or Max Positive. 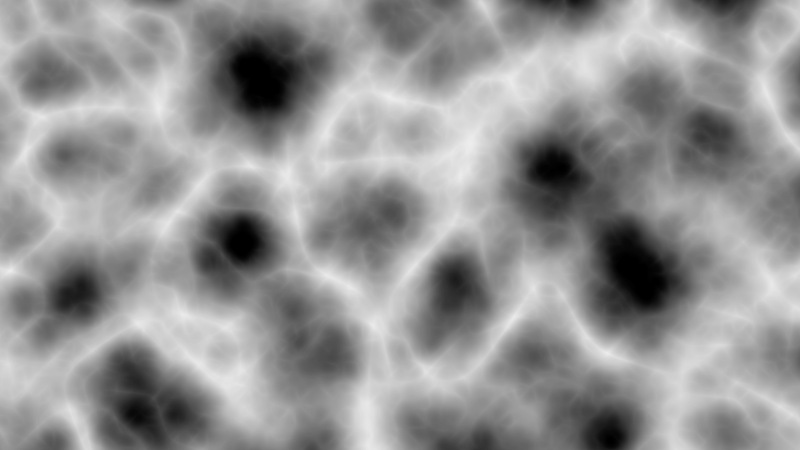 The Appearance Group allows you to tweak the look of the chosen noise Pattern. The first control Complexity, when increased towards 16 will add more detail within the noise, while turning it down will decrease the detail. You can use the Contrast parameter to intensify the difference between the black and white areas of the noise pattern or bring it down to 0 to make the pattern completely gray and contrast free. The Brightness controls will expand the white areas into the gray and darker areas in the image if brought up over its default 100 setting, or you may darken the image by bringing it down below 100. The Gamma slider will change the overall brightness of the pattern, bringing it up towards 10.0 will make it much darker while bringing it down to 0.0 will make the image much brighter. To get the negative of the pattern, check “on” the Invert checkbox. The Output drop-down menu gives you the HDR option will give you the most dynamic range from light to darks while the Clipped setting will exclude the extreme blacks and whites in the image and the Soft Clamped will keep the contrast in a more compressed dynamic range. The Animation group includes controls for changing how the fractal loop changes overtime. The Evolution control can be keyframed to cyclically change the fractal pattern smoothly over the amount of time between the two keyframes. The Cycles parameter allows you to set how many times the pattern evolves before repeating itself between keyframes. The Animation Speed slider allows you to change how quickly the animated loop evolves from frame to frame. If you’d like to skip setting keyframes, check the Auto Animate box “on” to have the fractal automatically evolve at it’s current Animation Group settings. The Transform group of controls allows you to quickly change the size, aspect and basic appearance of the Noise without leaving the effect panel. The Zoom control will change the scale of the Noise fractal pattern within the frame. To make the pattern appear large, bring this slider down towards 0.0100 and to make the noise smaller and more static-like, change the slider to 100.00. The Aspect slider allows you to alter the vertical and horizontal aspect ratio of the noise effect. Turning the slider up from its default will stretch it out horizontally, while turning it down will elongate it vertically. Use the Center cross hairs as well as the X and Y numerical controls to reposition the center point of the effect on the layer. The Rotate dial control allows you to change and keyframe animate the angle of the noise effect, rotating along the center point axis. The Filter checkbox is only activated when the Interpolation is set to one of the “Blocky” options and will work to clean up some of the noise from the edges for a smoother geometric look. The Advanced group has controls to intensify the effect of the effect on the layer. Bringing up the Influence control will add more layers of noise to the original pattern while turning it down from its default 33 will subtract complexity from the pattern. The Turbulence factor is useful for bringing more distortion and grain to the noise pattern. Increase this control to add more complexity and static to the effect. The Seed slider introduces a way to change the fractal pattern from its default into a more random pattern. Use this control to shift the noise pattern in a subtle but noticeable way. Opacity lets you adjust how translucent the layer is from it’s default 100 to a more transparent state, letting the background layer show through. Chose from the Blend Mode drop down to select the blending mode used to composite the Turbulence noise result over the original layer image.